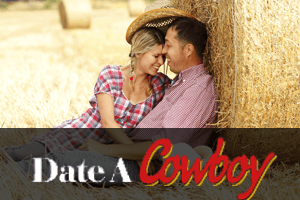 Despite their name, cowboy dating websites are not just for cowgirls looking for their dreamy cowboy to sweep them off their feet, hoist them up on their steed and ride off into the sunset. They are a perfect place for every person with a country upbringing to find someone who shares their passion for a certain way of life, regardless of gender. One of the most important parts of the online dating experience, no matter what the niche may be, is the profile that you will make for yourself on the dating website. It is the cornerstone of every online dating experience and it is the starting point that can get you ahead or ruin your chances, depending on how you handle it. We would like to share some insights and tips with you that will make your online dating profile your ally and not your worst enemy. There used to be a time when everyone lied about online dating. People would write all kinds of crazy stuff about themselves to try and attract more interest from other members. After a while, this became really tiresome and people realized that the best policy is to be honest. It is as if all of the people who do online dating got together and said that it is time to do away with lies and deceits. Also, what do you really get from lying on an online dating website? You may fool someone into getting in touch with you, but if you try to take it further (which is always the goal), you will only come across as an insincere person and your new friend will want to have nothing to do with. That being said, small “embellishments” are not frowned upon. If you are a guy who is not exactly 6′, you can add an inch or two if it will make you feel better. If you are a bit overweight, you will probably use a euphemism that will make you more attractive. Finally, never use other people’s photos for the profile. Never. You would be surprised as to how much it matters how many photos of yourself you include on your profile. There are people who believe they can get dates without putting up a single photo of themselves. They cannot. Just start from yourself. Would you date someone that you haven’t seen once in your life? Probably not. You can think that this is very shallow or superficial, but everyone wants to know what the other person looks like. One of the best things you can do for your online cowboy dating profile is to include at least half a dozen or dozen photos of yourself. Of course, you will want to choose those in which you are looking particularly attractive, there is no shame in that. We all want to look our hottest. One thing you should never do is use other people’s photos as your own. This is not cool and it is simply lying. People will pick up on this and you will be done. If you think that you will come off particularly cool if you share only a few words or a cool quote on your profile, think again. One of the most important aspects of your online dating profile will be the information that you share with other members and they will want to know as much about you as possible. Remember that you are condensing a dozen dates into a few messages and chats and it goes a long way to share a lot about yourself and to be able to read about your new friend. There is a lot that you can share on your online dating profile. For instance, you can share details about your upbringing, your education, your favorite movies, music and everything else that comes to your mind. Not only will a lot of information attract more interest from other members, but it will also help the dating website find better matches for you. In the end, it all comes down to what you would like to see on other people’s profiles. Do the same with your own.